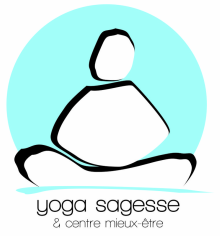 YOGA SAGESSE EST UN STYLE DE YOGA UNIQUE BASE SUR LE SYSTEME ENERGETIQUE DU CORPS. C'EST LA MEME PHILOSOPHIE QUE LA MEDICINE CHINOISE, LE QI GONG, OU L'ACUPUNCTURE ET CONVIENT POUR TOUS LES AGES. YOGA SAGESSE IS A UNIQUE STYLE OF YOGA BASED ON THE BODY'S ENERGY SYSTEM.